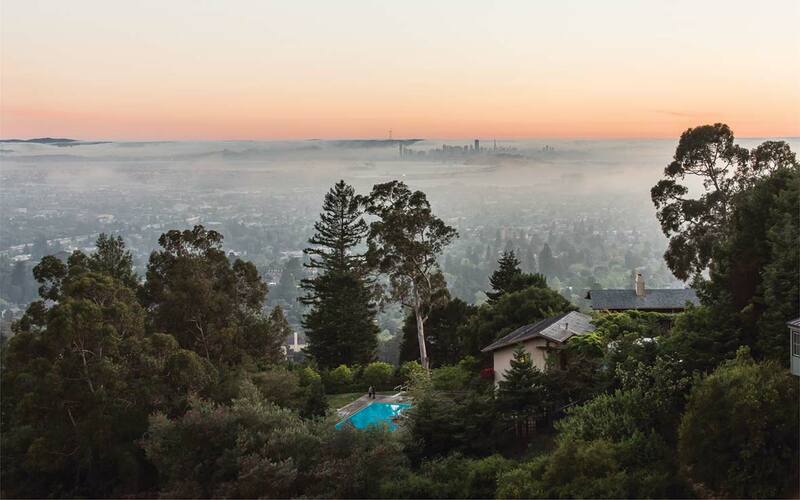 Located on a sloped lot in the Berkeley hills, Halprin’s site plan took advantage of the steep grade to highlight views of the San Francisco Bay Area. 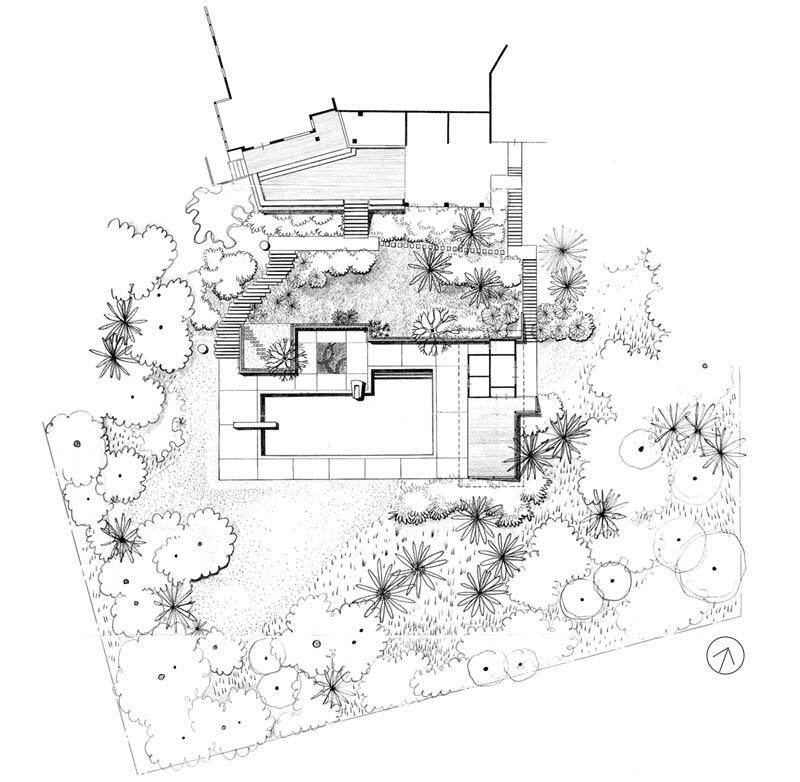 The residence is located just off a curving road, with a rear deck that overlooks the garden below. 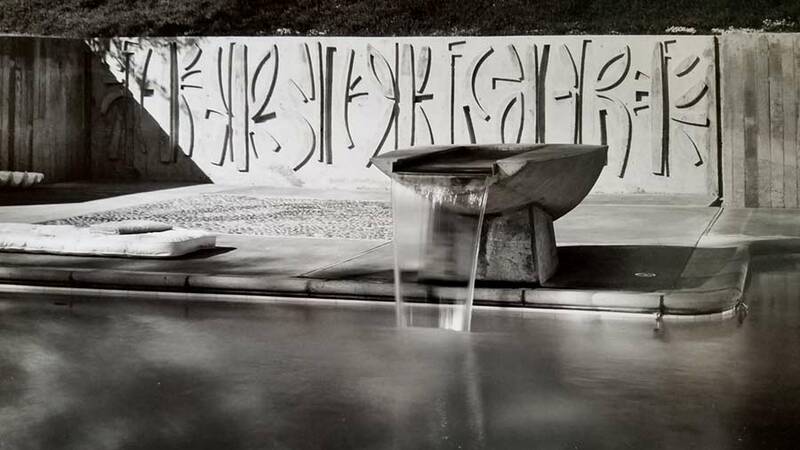 Halprin worked with sculptor Jacques Overhoff to compose a retaining wall that facilitated the construction of a flat area with a rectangular pool at the edge of the parcel. 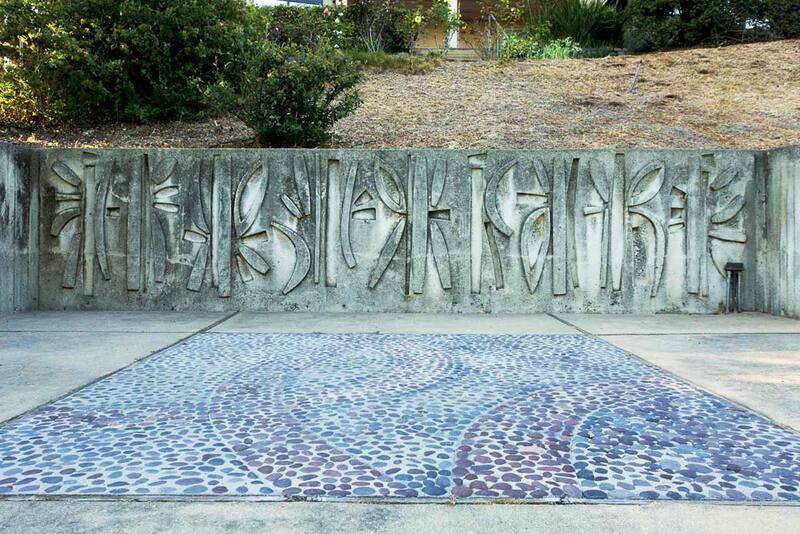 The sculpture wall is composed of cast concrete bas-relief panels. 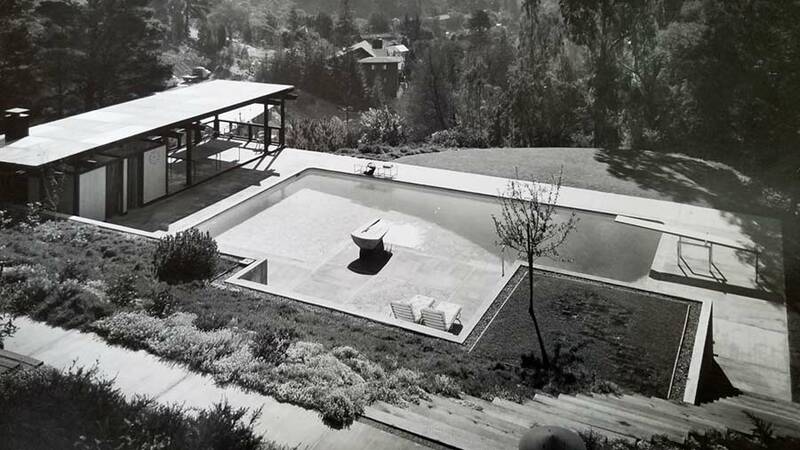 Overhoff also design an abstract oblong fountain over the pool. The designers intended for the sharp nature of the concrete elements to contrast with the softness of the receding hills framed in the viewshed. 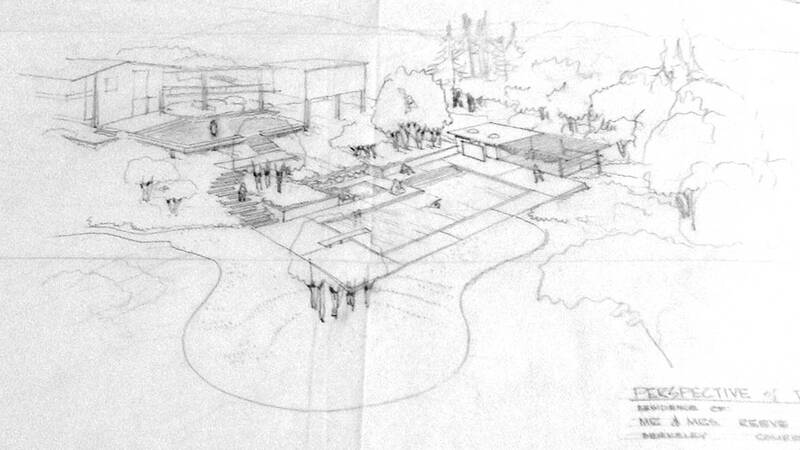 Other site features at the Gould Garden include a cabana and an open lawn area. 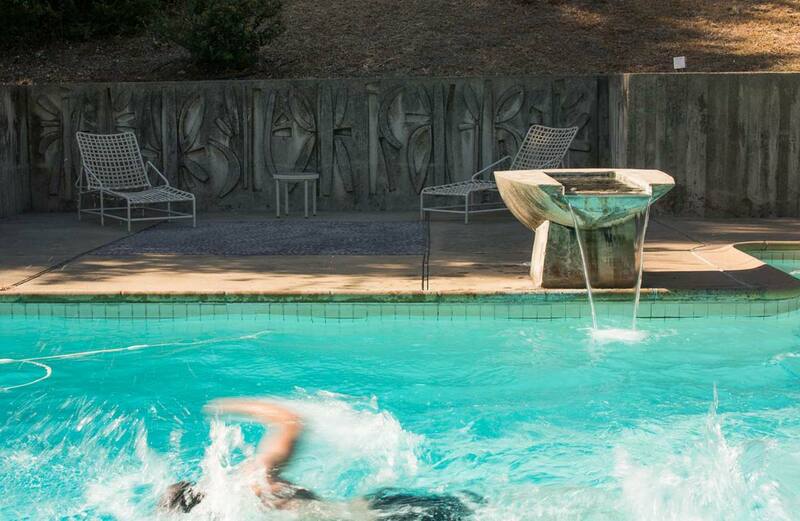 A pebbled mosaic is embedded into the concrete paving between the pool and the sculpture wall. Halprin continued to collaborate with Overhoff on other Bay Area projects, including Capitol Towers Apartments in Sacramento. The Goulds continue to reside at and maintain the property. A fire destroyed the primary residence during the 1990s, but the hardscape in the garden and the cabana were unharmed. The residence was rebuilt shortly after, and Mr. Gould endeavored to replace lost vegetation in-kind. 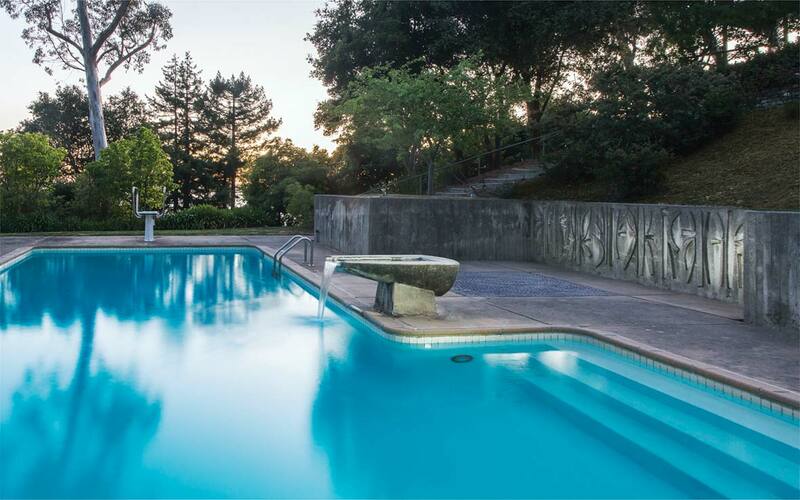 While the concrete shows some signs of aging, the fountain is still running and cascading into the swimming pool and the sculpture retaining wall remains intact. The property was put on the market in 2016. 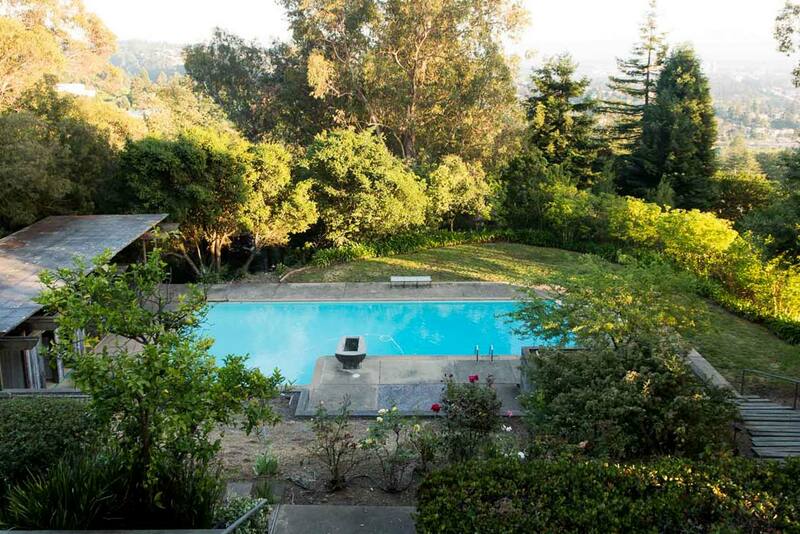 Halprin’s garden design is a focal point of the listing. Based in Oakland, California, Dodge has been taking photos professionally for more than a decade. A love of art led him to attend San Francisco State University where he earned a B.A. in Fine Art Photography. He began his professional career by working as an assistant on commercial and architectural shoots. An appreciation for design and fascination with the interplay between natural and built environments are themes in his photography.